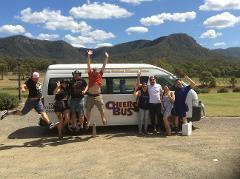 Experience a FULL DAY SATURDAY, customise your wine tastings at cellar door choices where available, private delux guided wine tour, cheese, chocolate, olives , Organic Vodka gins and schnapps and brewery tours and tasting all an option. 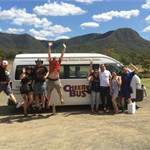 Experience a FULL DAY PRIVATE customised /guided boutique wine tour or any alternative adventure that you may need a bus and tour guide 8hours from pick up. 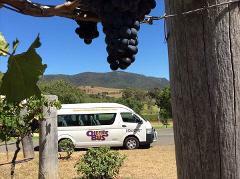 Experience a FULL DAY BOUTIQUE 5 STAR guided wine tasting tour in pre booked private Cheese, Chocolate, Vodka, Gins, schnapps tastings Pre order from special BUS LUNCH OPTIONS MENUS around $25 one course $40 three course. 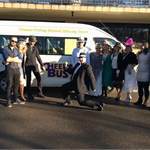 Afternoon Delight Wine Tasting Tour Sun - Fri local pick up. 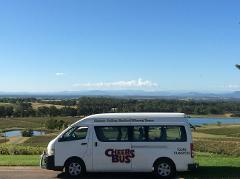 Your full day local picku private chauffeured hire car taking 1-4 people to your favourite cellar doors, restaurants or chosen venue activity 7 hours between 9.30am - 6.00pm. 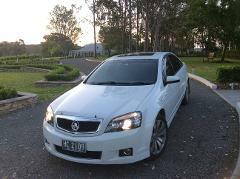 Evening restaurant and Airport transport available by request. 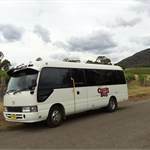 13 seat private full day tour bus with local vineyard area pick up AROUND 9.30am your selection of wine ,cheese ,chocolate, Organic Vodka Schnapps, Olives, Brewery tastings, activities etc. Lunch and tasting fees at your own expense.